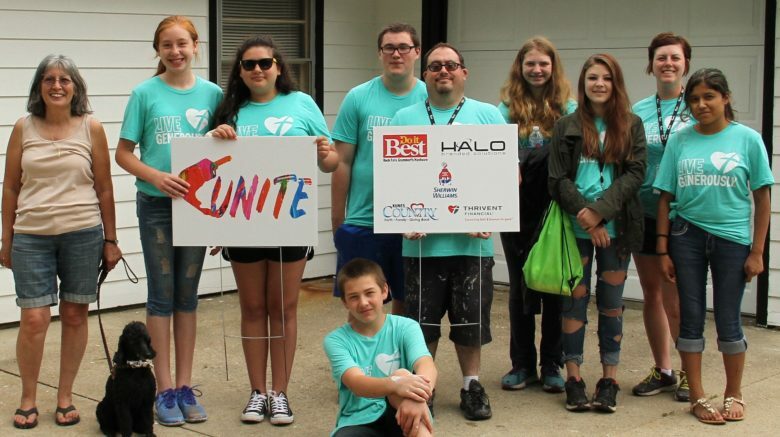 SAUK VALLEY UNITE SERVICE CAMP will not become a reality without support from individuals and businesses that have a desire to invest in making our communities better. Every dollar that is raised will go to purchase supplies needed for the completion of projects and facilitation of the program. We invite you to partner in this amazing opportunity this year. Your financial gift will directly benefit people in need in the communities of our region while at the same time empowering and teaching teenagers to work together and invest their energy and hearts into being an answer to a problem in a tangible way. Your financial gift will also further increase the unity of communities demonstrated by the partnership of churches working side by side. The need in our community is evident. The directors of the SAUK VALLEY UNITE SERVICE CAMP have the vision and the drive to make it happen, but we need your help to succeed. Checks can be payable to “Bethel Reformed Church UNITE”. Your financial gift is tax deductible. We would also like to say thank you by recognizing your partnership. Refer to the SPONSOR link below for how PLATINUM, GOLD, SILVER, and BRONZE sponsors will be proudly displayed. 2017-2019 Sauk Valley Unite.Benevolent by Rara Theme. Powered by WordPress.